As usual, at the beginning of the year we examine the major trends in interior design and decoration of the contemporary house. In this article, we will therefore pay particular attention to the aesthetic nuances that are supposed to stay in the wind. 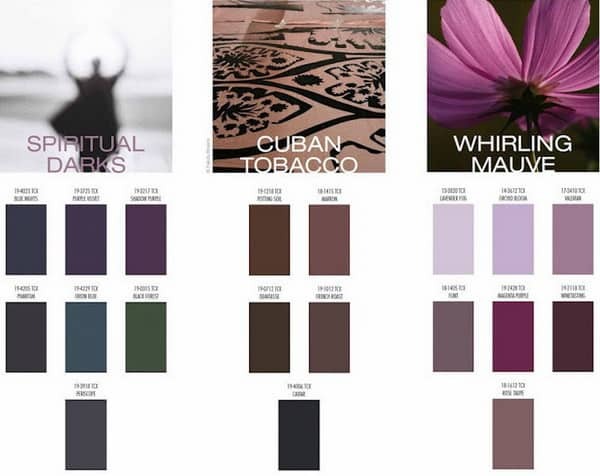 Examine all the proposals to follow and decide for yourself what your favorite 2019 interior color trends is! 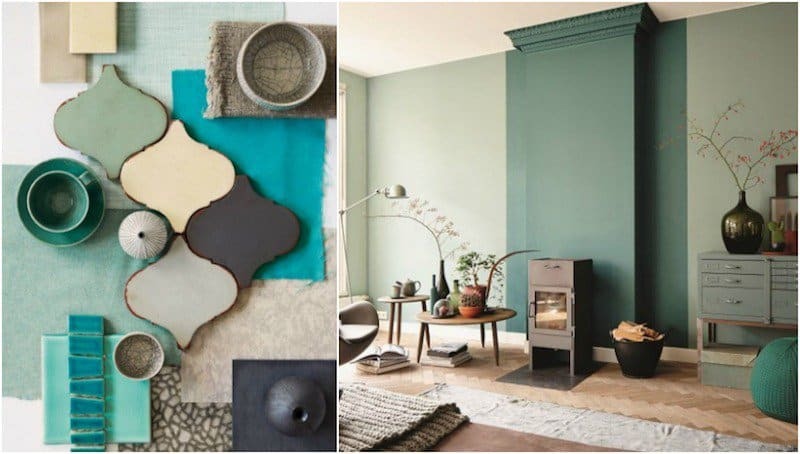 1 Interior color trends 2019 – the best palettes in pictures! 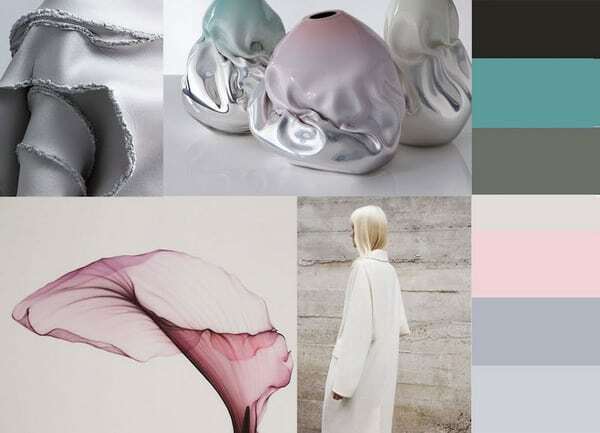 Interior color trends 2019 – the best palettes in pictures! In the following paragraphs and the photos that accompany them, we will examine some current color charts as sources of decorative ideas. First, we will observe the objects that inspired the color palette and its specific realization in interior decoration. 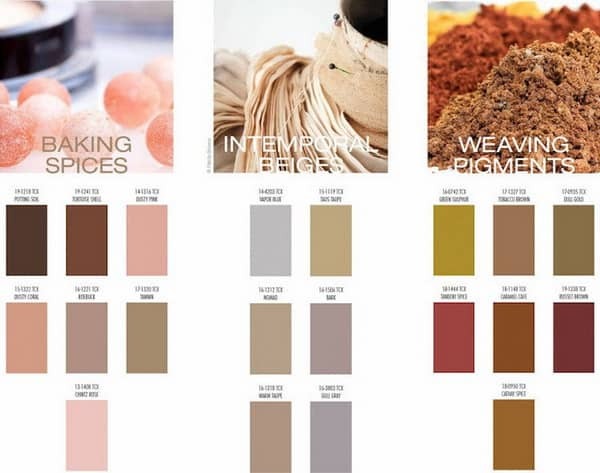 The first interior color trend 2019 that we would like to introduce and inspired by spices and earth. 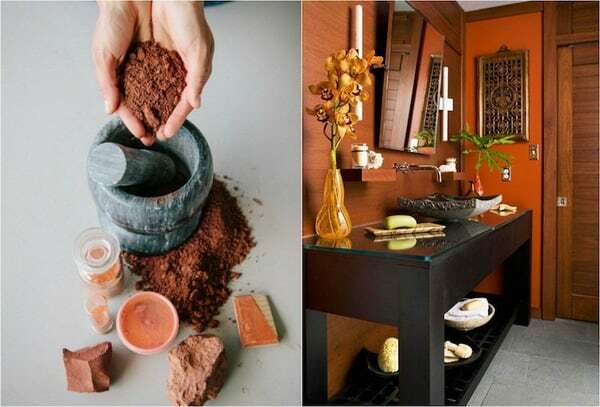 It includes Himalayan salt-themed roses, timeless beiges and all the pigments found in different soils. 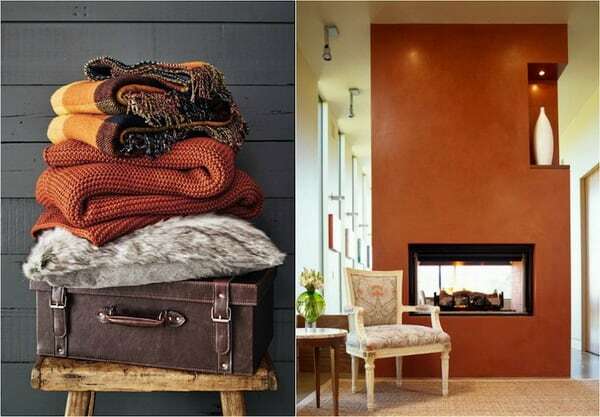 It is a natural and warm color scheme that can be interpreted in many different ways in successful home decorating. Anyway, the final result is super cozy, which makes it indispensable during the coldest months of the year. 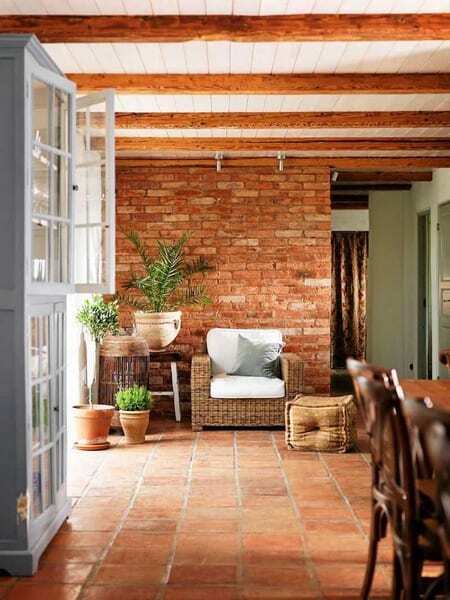 Tiles, brick, wicker, reddish woods, clay and terra-cotta are just some of the admirable representatives of the palette in terms of textures not to be missed, especially if you bet on a decor Mediterranean or rustic. If, on the other hand, these textures are not completely adapted to your style of decoration, you can take advantage of the alternatives. A wall painting influenced by clay pigments is an excellent choice that can be adapted to any specific décor. 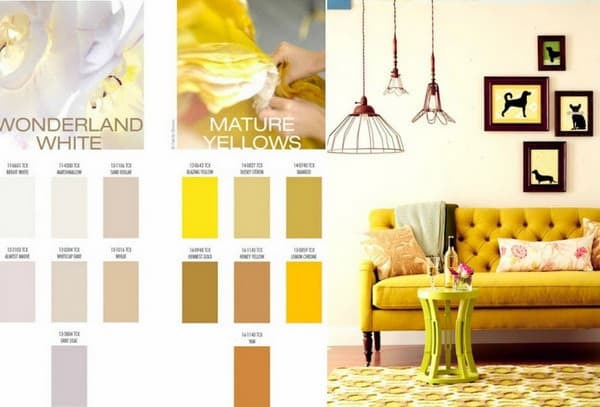 Then we continue with a 2019 trend color palette that is perfectly suitable for spring and summer. These are natural green and blue shades inspired by green plants and the sea respectively. Among the most aesthetic green complexions in 2019 are celadon, turquoise, water green (or aqua), sage, apple, anise, almond and our absolute favorite. -great simply wonderful! The blues on their part, apart from being inspired by water, are more or less dominated by gray sub-tones. Blue horizon, pigeon blue, denim, blueberry, but also aquamarine and azure are just some of the cool summer options. 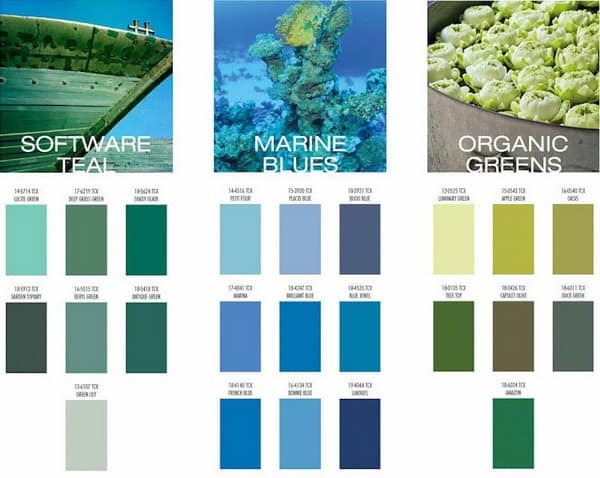 In addition, the shades that combine and the blues, and the greens are also a very good choice. 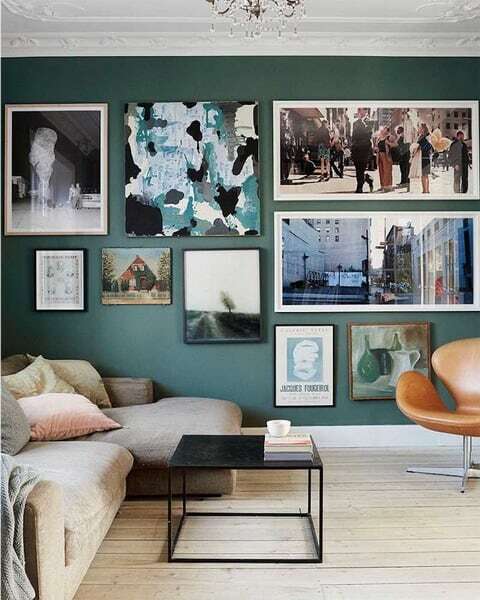 For example, the color teal, become super popular in decoration lately, will continue to be in the wind in 2019. Subsequently, we discover a 2019 interior color trend that is able to add nobility to any space. These are dark shades of blue, green and purple, combined with tobacco and marsala tones and crowned with mauve touches. 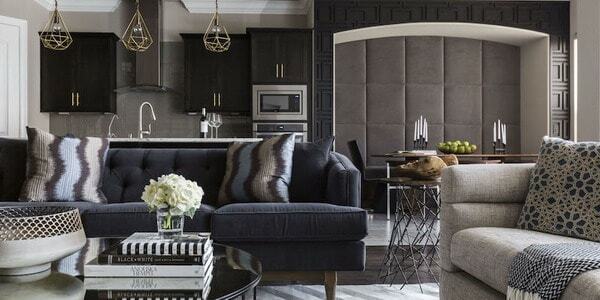 This colorful palette is dark enough, but the aristocratic look it will bring to your home is worth the risk. 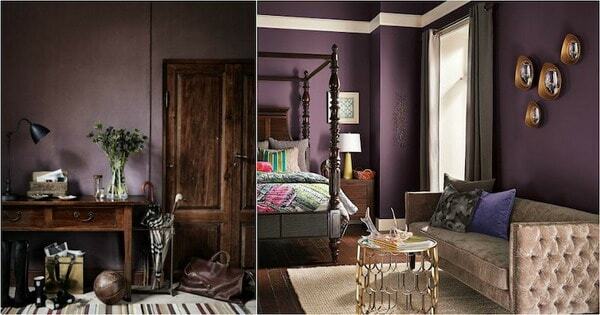 We recommend deep tones such as bishop purple, purple, pigeon and aubergine. 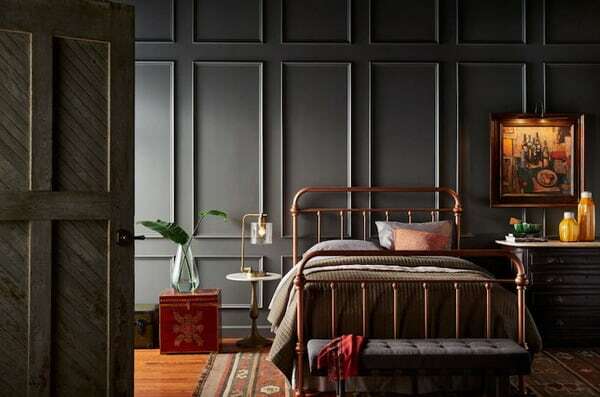 The good news is that dark taupe-based shades, being neither hot nor cold, can be harmoniously associated with both the nuances of the cool spectrum and the colors of the warm palette. For example, a living room in taupe, blueberry and pearl gray of contemporary design is just as aesthetic as an exotic bedroom with anthracite wall moldings and decorative objects in amber, ocher and gold. 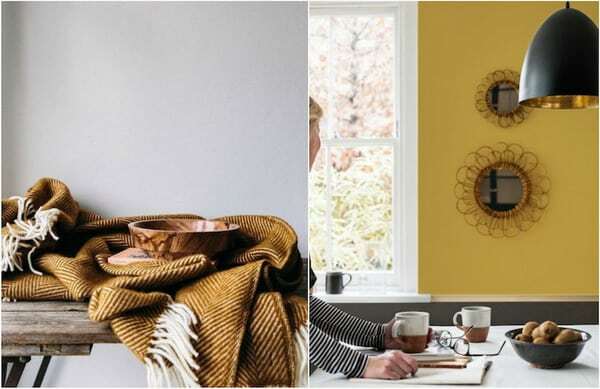 Being on the subject of decorations of the house in golden tones, the last trendy palette that we will present in this article is inspired by the “mature” yellow shades, including the ocher and mustard. The other fabulous shades that complete the majestic pattern are wheat, imperial yellow, orpiment and amber. They were given the yellow name “mature” because their sub-tones are not very bright, even deaf. Of course, there are other paths to follow. 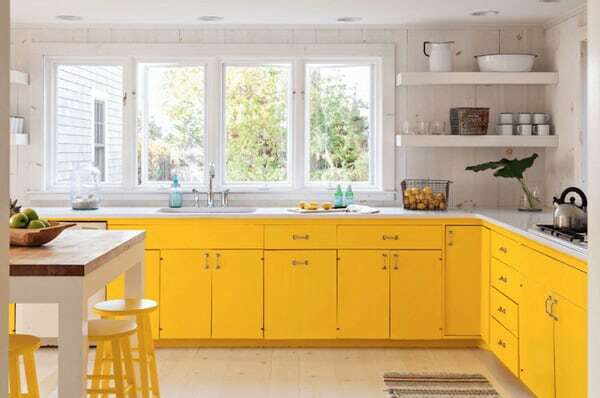 Who does not like the folded shades can quietly choose the pastel yellow, as well as the super fresh canary yellow. 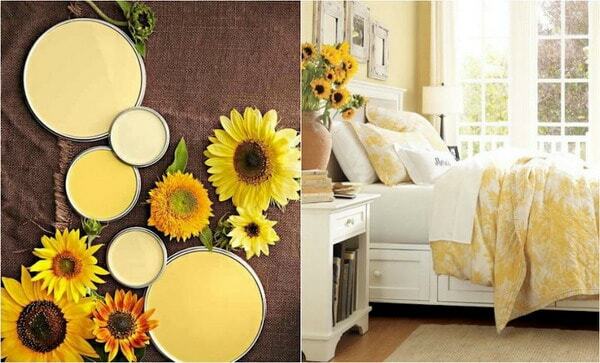 The yellow sunflower is also super charming, especially in the decoration of the chic adult bedroom. People who find that marriage of white and yellow is too boring, can energize it with a few blue touches. This combination is super cheerful and creates a lot of good mood, especially in summer, as it evokes the sun and the sea. 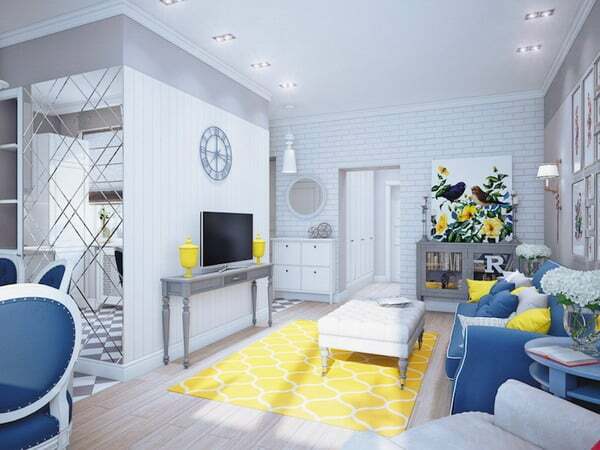 Depending on the style of the furniture and other decorations, you can succeed in this palette and in the retro chic house, and in the ultra-modern design apartments. Finally, whatever your favorite 2019 color trend, stay creative and do not be afraid to experiment!